After the novice completes his year of novitiate, the simply professed brother moves to the Dominican House of Studies in Washington, D.C. Formation in the studium focuses primarily on four different areas: human formation, spiritual formation, intellectual formation, and pastoral formation (cf. Pastores Dabo Vobis nos. 43-59). If he is a clerical student brother, he begins his studies for priesthood and prepares for active ministry. The cooperator student brother also prepares for active ministry but with a plan of formation suited to his particular skills and interests and the needs of the Province under the guidance of the Master of Cooperator Brothers. In addition to the Master of Cooperator Brothers, the Student Master is assisted by the “Formation Council” with whom he meets monthly. This council consists of the Assistant Student Masters, the President of the Pontifical Faculty, the Academic Dean of the Pontifical Faculty, the Director of Pastoral Formation and the Prior of the House of Studies. After three years of simple vows, the student brother would need to petition to renew his vows once before the possibility of petitioning to profess solemn vows until death. He may renew his vows a year at a time up to two more years after which he must make a final decision to leave or to petition to stay. Upon solemn profession, the clerical student brother prepares for ordination to the diaconate and to the priesthood. St. John Paul writes, “In order that his ministry may be humanly as credible and acceptable as possible, it is important that the priest should mold his human personality in such a way that it becomes a bridge and not an obstacle for others in their meeting with Jesus Christ the Redeemer of humanity” (Pastores Dabo Vobis, no. 43). The four areas of formation begin with human formation, which entails a deepening of the virtuous life. A brother is not to be arrogant or quarrelsome, but affable, hospitable, sincere, prudent, discreet, generous, ready to serve, capable of fraternal relationships, quick to understand, forgive, and console (cf. Pastores Dabo Vobis, no. 43). The Student Master is directly responsible for the human formation of all the brothers. He gives guidance about growth in human formation, and offers correction to the brothers where he sees them fail. On the spiritual level, the Student Master oversees the process of spiritual formation for both the clerical and the cooperator student brother. Besides the normal schedule of the Divine Office, Mass, meals, ministry, classes, periods of mental prayer, and recreation, the Student Master offers weekly “chapter” talks on religious life. He conducts individual meetings with each student to assess progress and note areas that need to be worked on. Each of the student brothers is assisting in the internal forum concerning private matters of spiritual growth through regular spiritual direction with a priest not on the House Formation Council. The academic program for clerical student brothers comprises philosophical and theological studies over six years. Studies begin with two years of philosophy followed by three years of theology, at the end of which the clerical student will have completed requirements for both the pontifical degree (called the Bachelor in Sacred Theology or S.T.B.) and the Master of Divinity (M. Div.) degree. Dominican clerical student brothers often take 5 years of theology. After completing the three years of theology for the STB/M. Div, there is the possibility of doing a two-year program to obtain the Licentiate in Sacred Theology (STL). 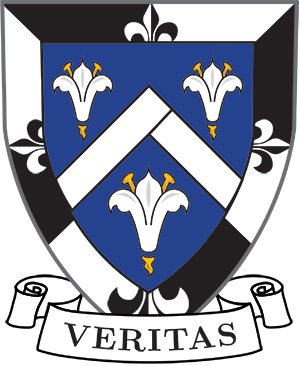 A student is admitted to this degree program upon the approval of the Pontifical Faculty. Since priestly ordination comes after the 4th year of theology, those who are on the “STL track” will remain at the Dominican House of Studies for another year beyond ordination. Those not on the STL track will round out their 4th year of theology before Ordination with elective courses in theology and practicums for priestly ministry before receiving their first pastoral assignment somewhere in the Province. Their 5th year of theology then becomes a year of “complementary studies” which must be begun within 5 years of priestly ordination. The course of studies at the Dominican House of Studies places particular emphasis on acquiring a solid foundation in the theological method of St. Thomas Aquinas (whose approach has been highly recommended by popes through the centuries and who was the only theologian singled out by the Second Vatican Council in its decree on priestly ministry as a sure guide in theological studies). The students can avail themselves of courses and resources outside the House of Studies through our membership in the Consortium of Theological Schools. From the ministerial aspect, academic courses and various apostolates are arranged to give both clerical and cooperator student friars the opportunity to prepare for Orders and ministry respectively in a supervised setting. These programs help the friar discover his particular strengths and weaknesses. Courses in pastoral theology aim to assist the friar to reflect on and develop prudent ways to apply sound principles of theology to concrete pastoral situations. Apostolates vary from catechetical work, RCIA programs, helping in nursing homes, classroom teaching, parish and campus ministry, etc.. These apostolates are set up in the metropolitan area during the school year whereas summers allow students to take up apostolates in other locations where the Province has communities. Such placements afford student brothers a unique opportunity to experience life in another community of friars outside our houses of formation.